“From Burrington Road” – painting is 7 1/12″ x 11″, matted and mounted to 11″ x 14″ for easy, low-cost framing. 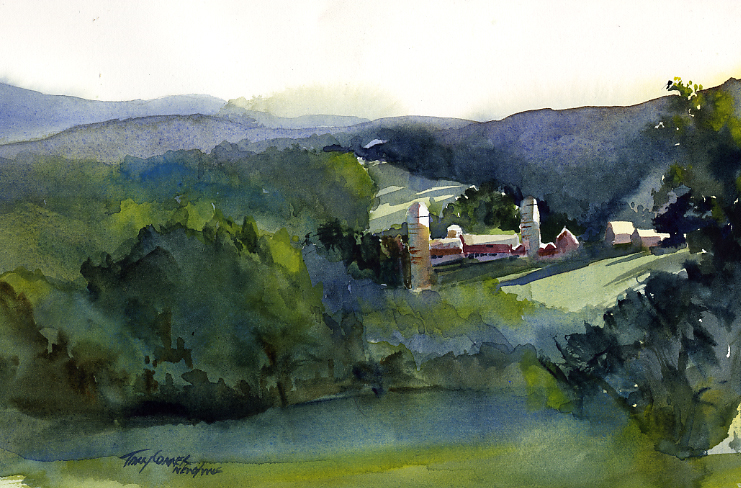 “From Burrington Road” – an early morning painting in Pownal, Vermont. Looking to the northwest from Burrington Road is this view of Pekham’s Farm. Clear skies let the bright sun shine create long shadows over the open fields near the farm, and just touch the higher ground and tops of trees.